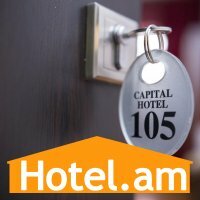 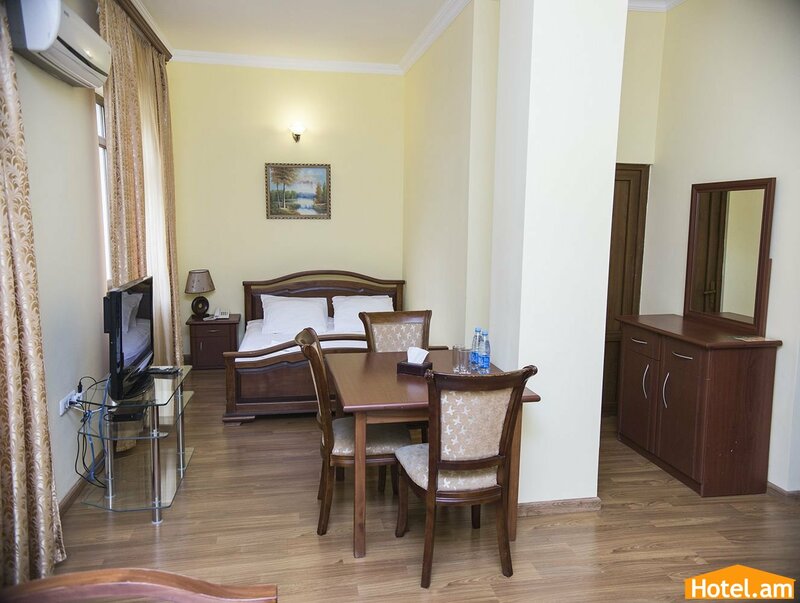 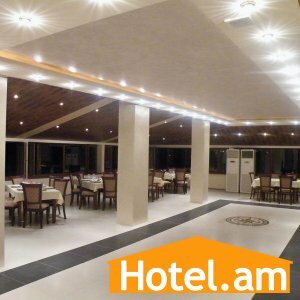 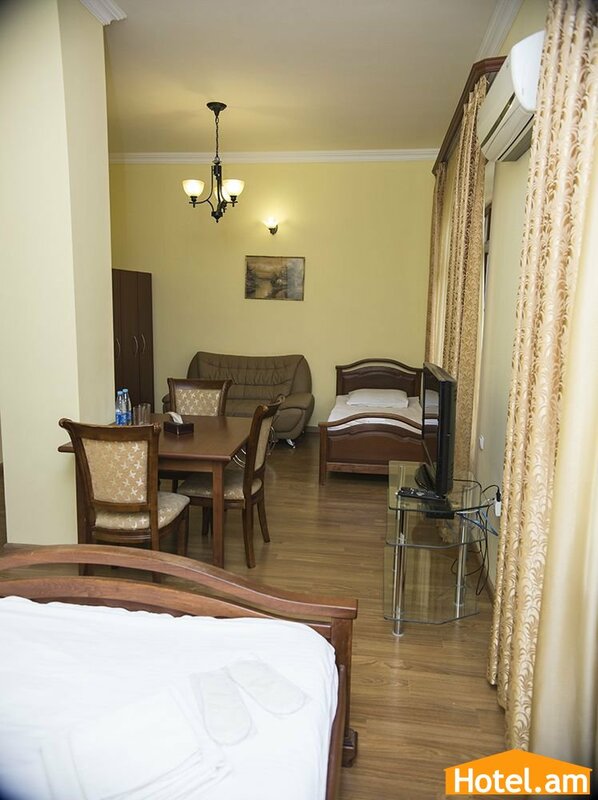 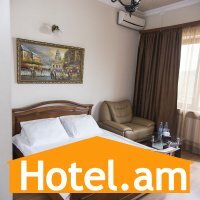 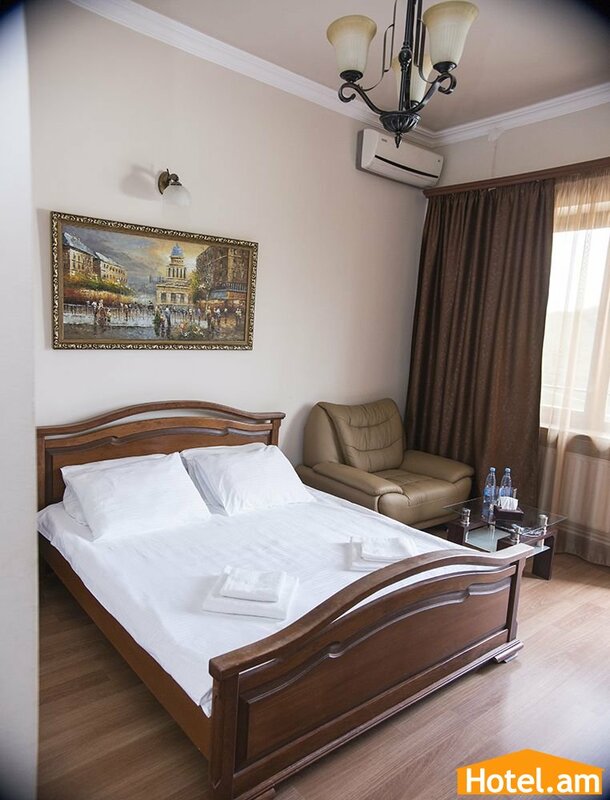 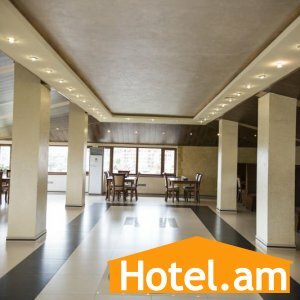 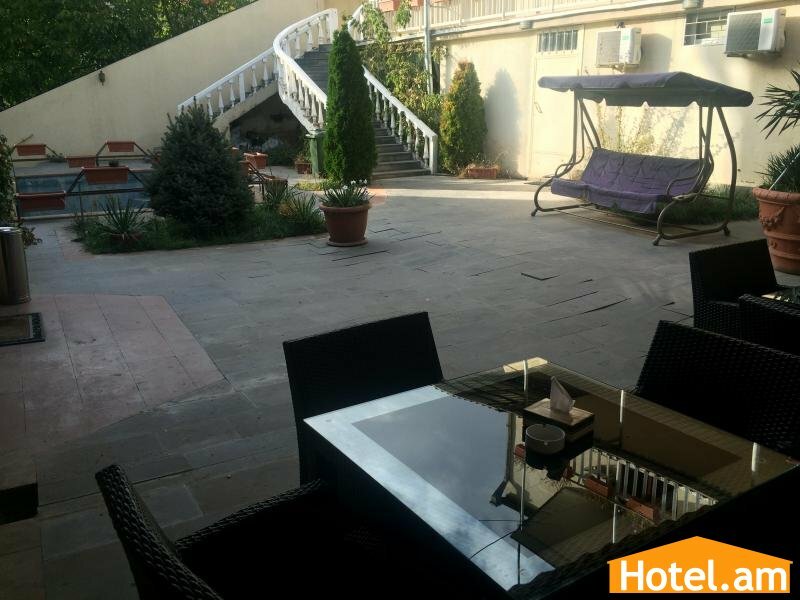 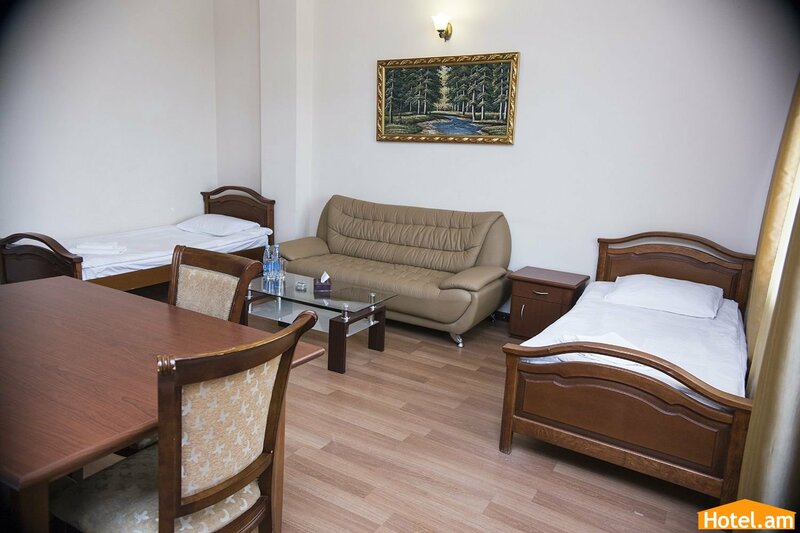 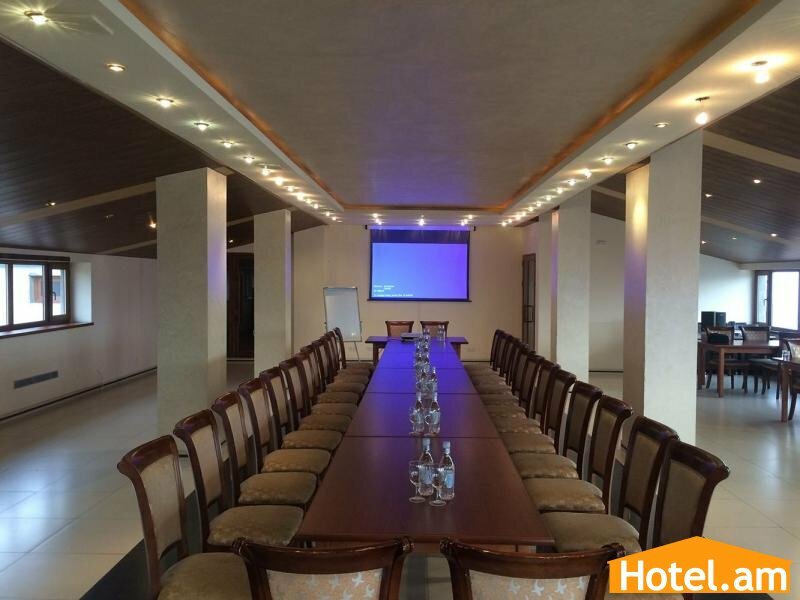 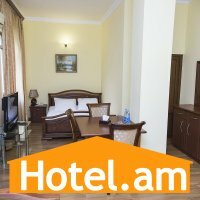 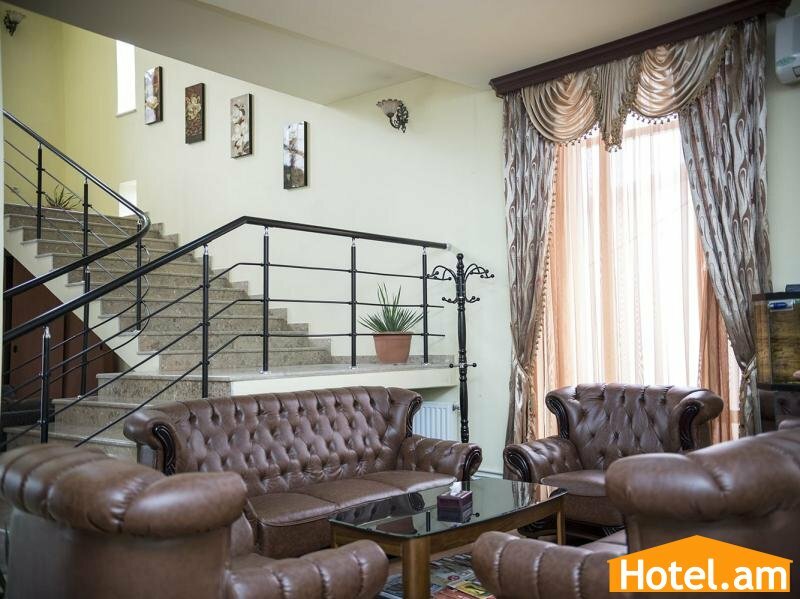 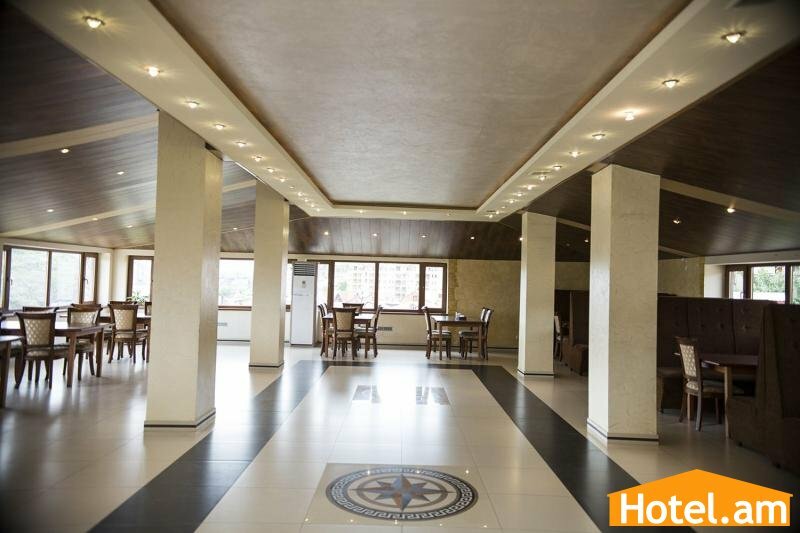 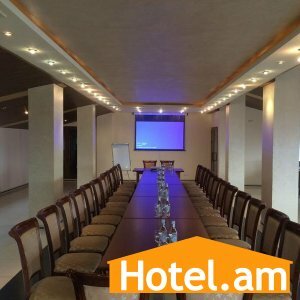 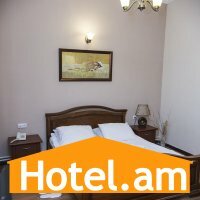 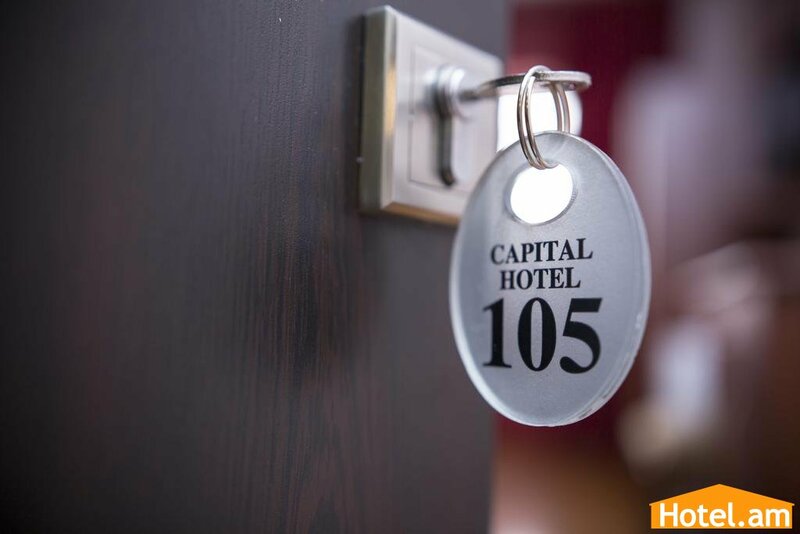 Capital Hotel is situated in one of the prestigious areas of Yerevan - Aygedzor street. 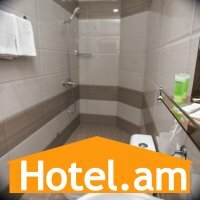 It’s only 2 km from Opera House. 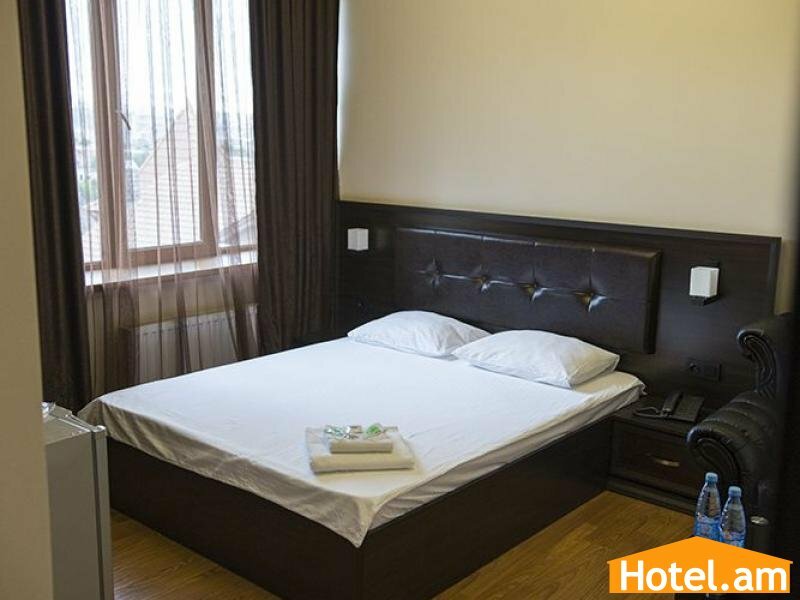 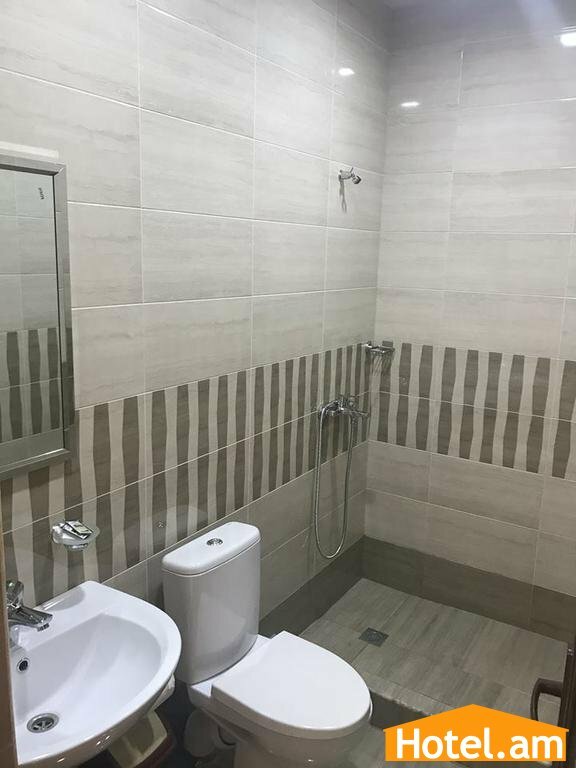 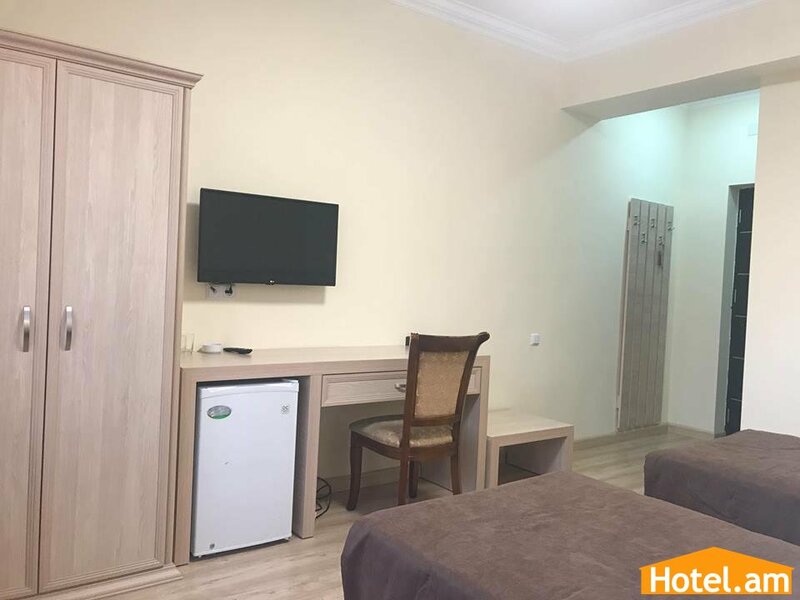 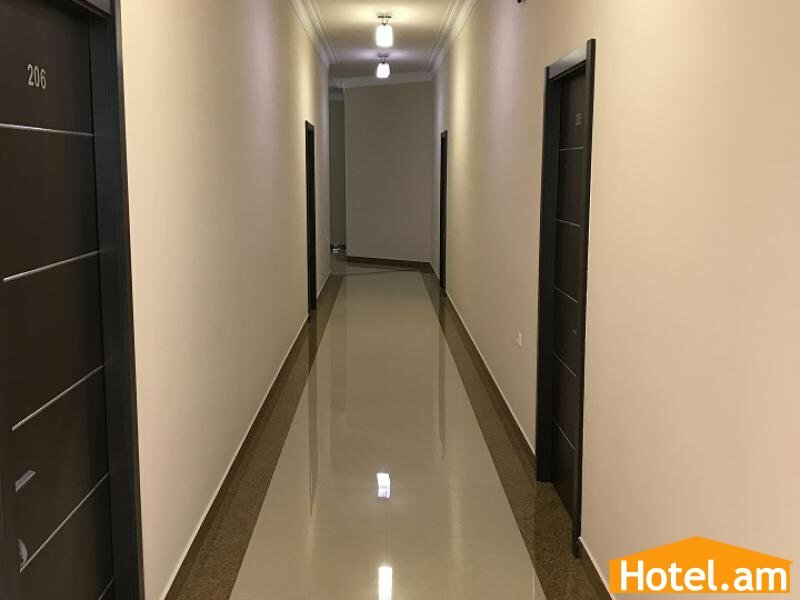 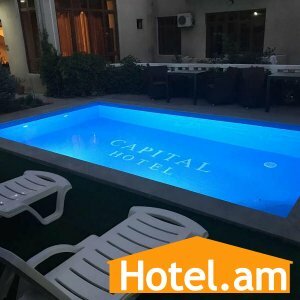 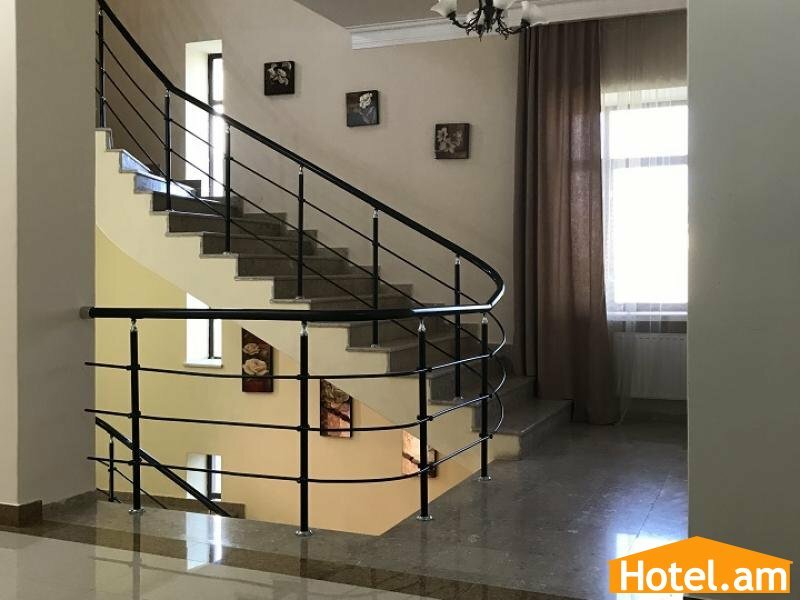 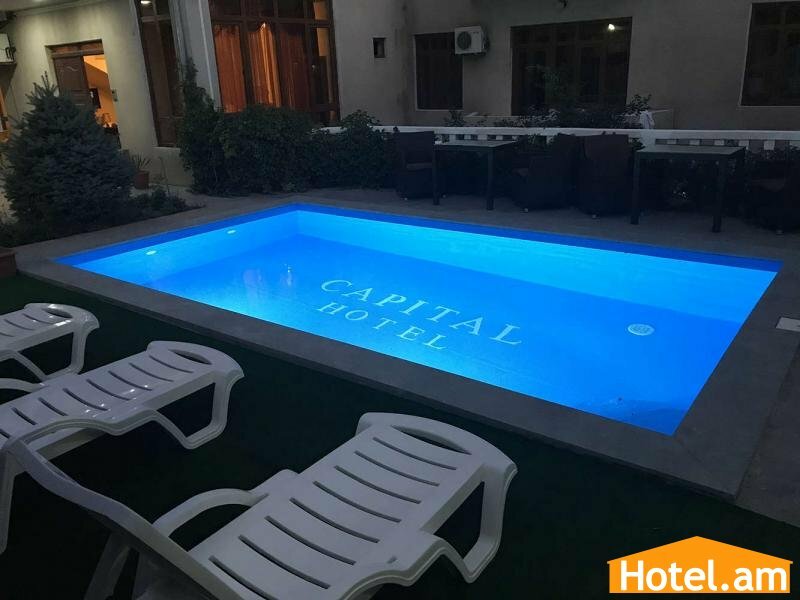 The location of Capital Hotel will let you stay away from noise and daily routine of the city center and in the same time being in the heart of the city. 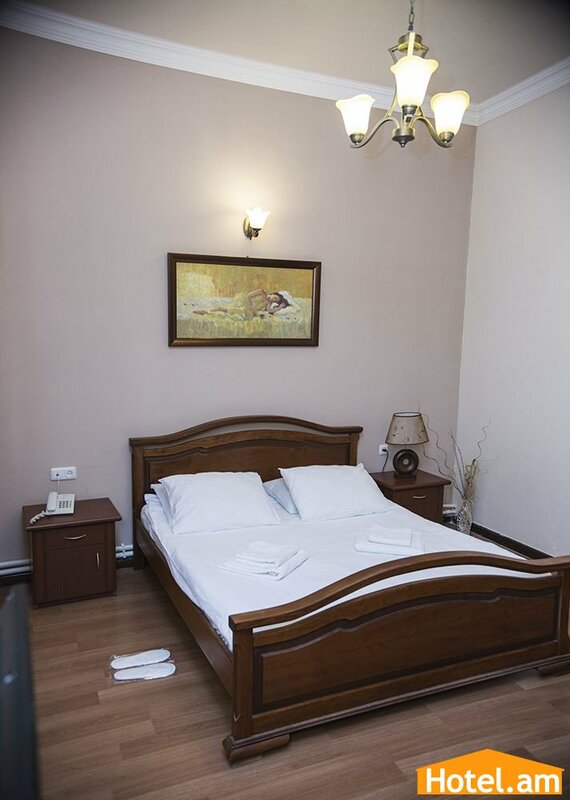 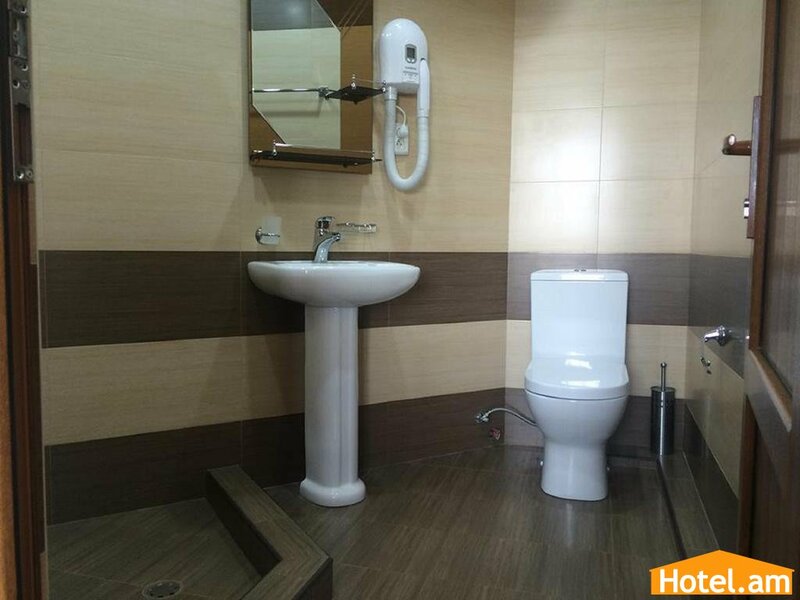 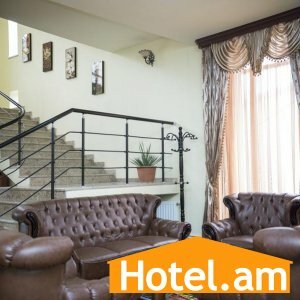 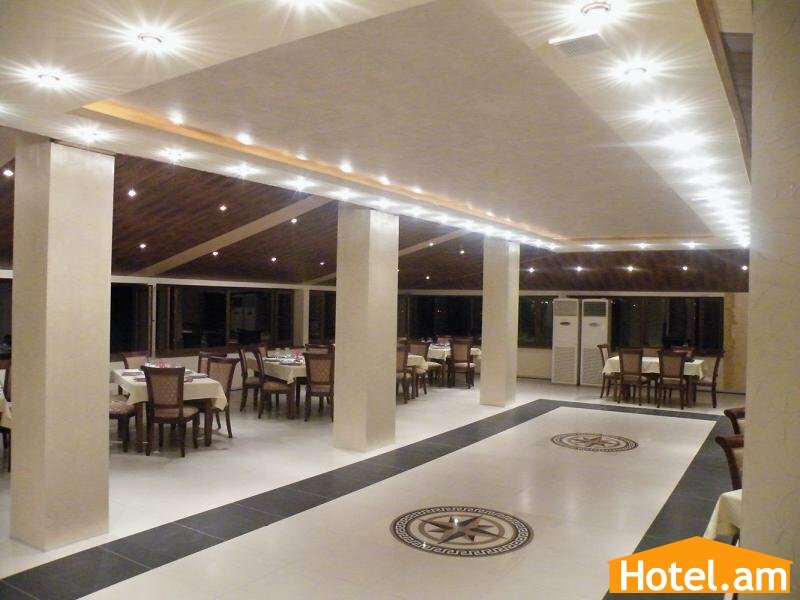 The quiet and nice area of the hotel is very suitable both for the businessmen and for the tourists. 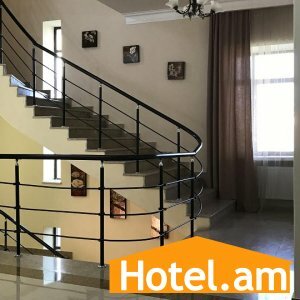 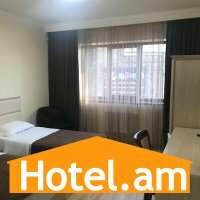 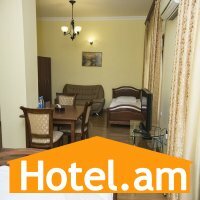 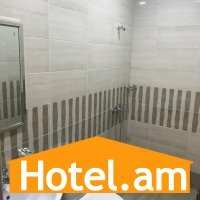 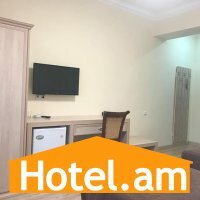 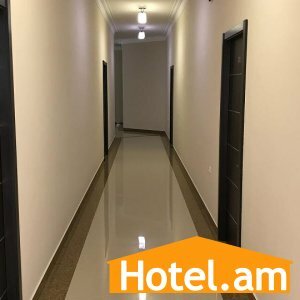 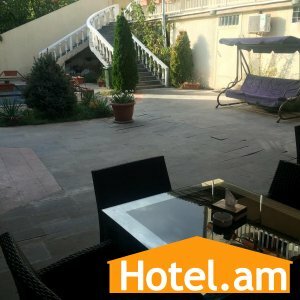 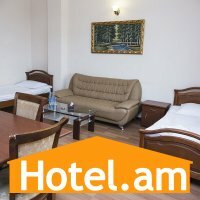 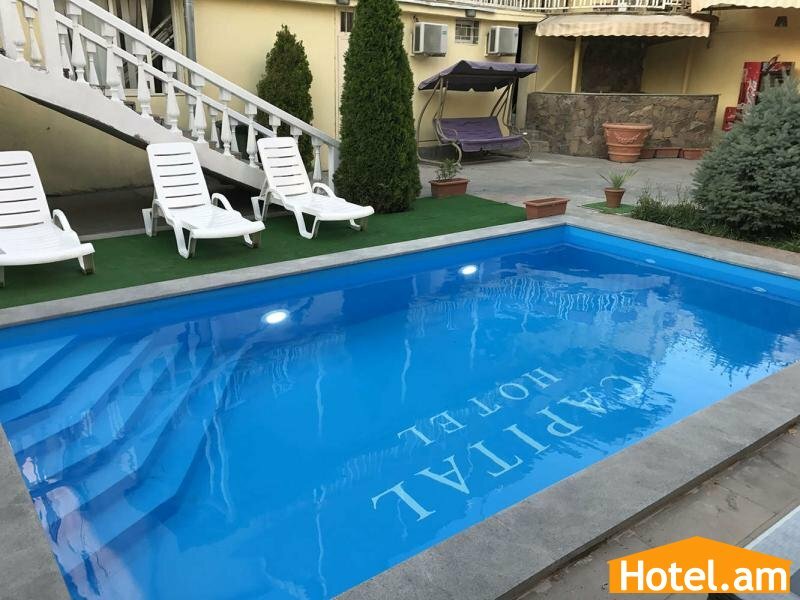 Our Hotel has 12 rooms (single, double or twin, triple and family) and also a big restaurant The comfortable and nicely furnished rooms are with various facilities, such as: regulated heating system, bath with a shower, air conditioning, TV, refrigerator and mini bar.There is a balcony in each room with unforgettable view over Hrazdan Gorge and Tsicernakaberd Monument.